Qualcomm and MediaTek may have some serious competition to contend with in the days to come if latest reports are anything to go by. According to Digitimes, Samsung Electronics is looking to expand its semiconductor business by supplying its Exynos SoCs to third-party smartphone manufacturers. Samsung will reportedly look to the mid-range segment to start with, and towards that end, is expected to increase the production of its mid-range Exynos chips. Samsung is already the largest semiconductor manufacturer in the world, having surpassed Intel last year, but unlike Intel, a large chunk of its chip business comes from the DRAM and NAND Flash segments. That being the case, industry insiders quoted by the Taiwanese publication seem to believe that, the increased focus on the logic chip (IC) market will likely “put Samsung in a better position to benefit more from the official run of 5G mobile communication networks in 2020”. 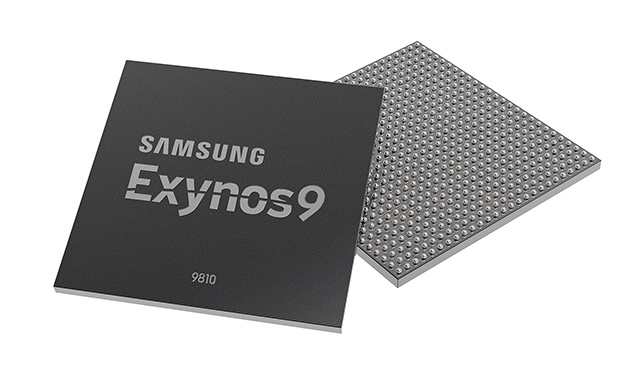 For the uninitiated, the Exynos-branded SoCs are designed, developed and manufactured in-house by Samsung. They power not just many of the company’s mid-range devices, but also some variants of its flagship Galaxy S-series and Note-series smartphones to be sold in India and large parts of Asia, Europe, Middle East and Africa. It will be interesting to see how Samsung’s attempt to put its Exynos chipsets into third-party smartphones work, because so far, Meizu has been the only major company other than Samsung itself that has launched smartphones powered by these chips. Just so you know, Samsung is the not the only smartphone vendor that designs its own mobile chipsets. Apple does it with its A-series chips, the latest of which, the A11 Bionic, powers the highly-popular iPhone X. Huawei also has its own, in-house, Kirin SoCs that powers all its flagship P-series and Mate-series devices, while Xiaomi is also trying to get into the business, having already unveiled its first-ever SoC, the Surge S1, which was designed and developed by Pinecone Electronics, a company it owns.